Whether you are vegetarian or not, there is definitely a place for vegetarian meals in your diet. We really enjoy meat and choose to buy it direct from the farm. But just 1kg of mince, 1kg paleo sausages and a big organic chicken does the 5 of us for a fortnight. The other nights? We tend to choose vegetarian meals which are still packed with protein and tons of flavour. Not only is it healthier to simply be eating more vegetables it's also much kinder on our budget. One of my favourite places to grab meal ideas is from other blogs and one of my favourites is Vegie Head. Adele is vegan and she has created an amazing and inclusive community along with tons of great plant-based recipes. Being (mostly) dairy-free I have found vegan recipes to be a great place to start when looking to replace ingredients or to get inspiration. 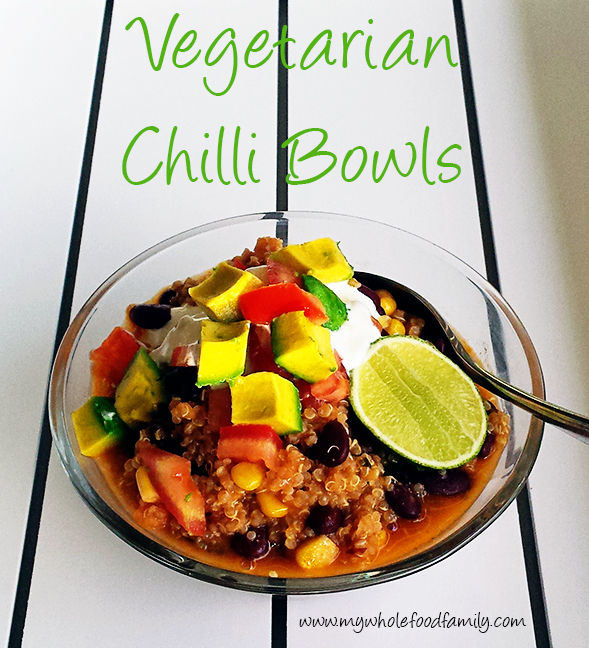 We love Mexican food and these vegetarian chilli bowls were a huge hit, so much so that there wasn't any left for my lunch! Boo hoo. A few fresh ingredients and a handful of pantry staples and you could be having this for dinner tonight! I have only included Thermomix instruction below but you could definitely make this on the stove top with a few simple alterations. Enjoy! Place the quinoa into a bowl, cover with water and leave to soak for 20 minutes while you prepare the sauce. Add the water and salt into the thermomix bowl. Drain the quinoa into the simmering basket and place into the thermomix. Drizzle the oil over the quinoa. Cook for 20 minutes / Varoma / SP 4. Tip the quinoa into a thermoserver and set aside. Chop onion, garlic and coriander stems 10 secs / SP 8, scraping down the bowl a few times if needed, until finely chopped. Add the coconut oil and cook for 3 mins / 100 degrees / SP 2. Add the cumin, dried coriander, chilli, tomato paste, stock paste and water and cook for 3 minutes / 100 degrees / SP 2. Insert the butterfly, add the beans and corn and cook for 8 minutes / 100 degrees / reverse / SP 1. Add the lime juice and check for seasoning. Pour the sauce over the cooked quinoa, cover and leave to rest for 10 minutes or until most of the liquid has been absorbed. Serve topped with fresh tomato, diced avocado and a dollop of yoghurt. Do you do a meatless meal every week? 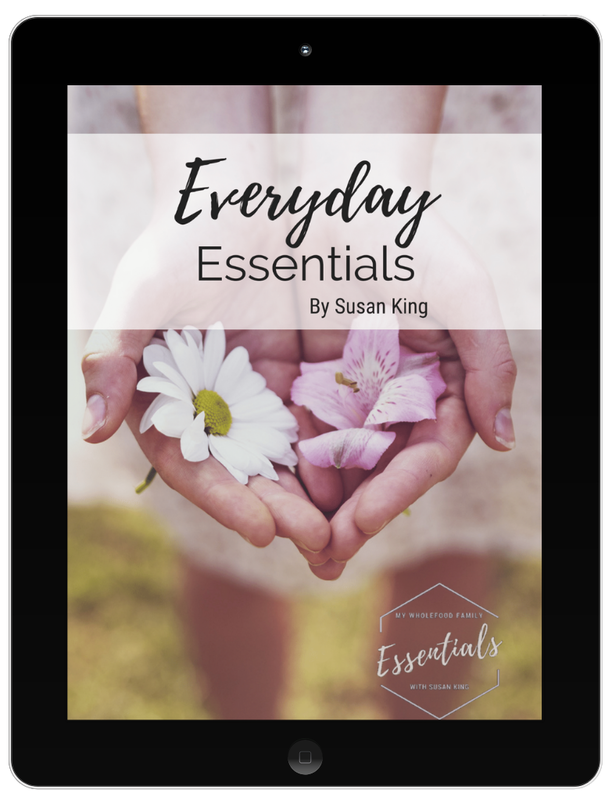 Please share some of your favourites as I am always looking for inspiration!